It is very true that owning a car means having to deal with servicing and repair of its parts. One of the most used utilities in a car is the air conditioning system. There are several tips and tricks which can help a person in increasing the life span of their cars air conditioning system. However, most people often do not follow these and end up misusing their car AC. If you are looking to repair your car AC, here are some tips that will help you to hire the best car AC repair service. Patience is really essential in this regard. #1. Check up the credentials of the company online- You can find a wealth of information online, regarding any subject matter. Use the internet to research on the company, reading their referrals and testimonials. These honest reviews will give you a fair idea about the worth of the service provider in the eyes of other customers. If the company has a fairly good review, you can go ahead with them for your car servicing. #2. Compare- You should not make an impulsive decision and just pick the first company you come across. Instead, spend some time in research and narrow down on a few other companies. This will allow you to compare the services as well as the prices of all the companies and pick the one which fits best for all your needs. You should also compare the amount of time the service provider needs to repair the AC system of your car. #3. 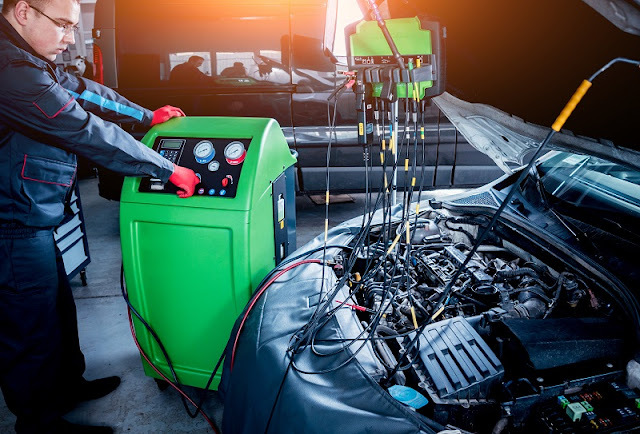 Ask your friends and relatives- One of the best ways to find a good car AC repair company would be to ask the recommendation of people whom you know, particularly the ones who have car from the same manufacturer. It is important to mention that all repair companies are not comfortable with handling all car types, such as sedan, hatchback, SUV, etc. For this reason, you must keep in mind the category of your car and also its manufacturer while asking for recommendations. #4. Tools are important- If you are trying to narrow down on a company for repairing your car AC, pick one which has a number of well trained, skilled and friendly staff. 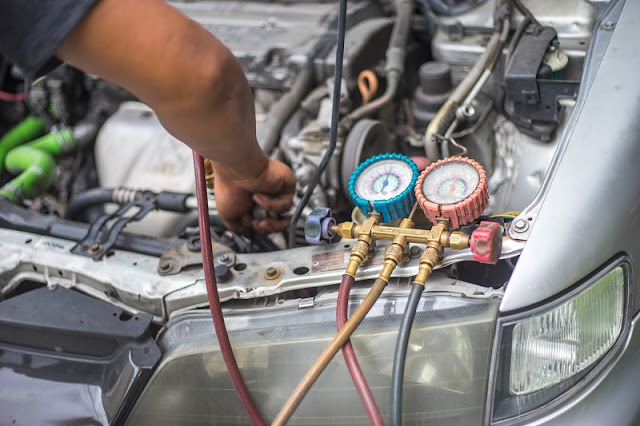 The efficiency of the staff will be shown by how accurately they can figure out the problem you are facing with your car AC, and how fast and well they are able to fix this problem. The equipments and tools used by them must also be new and efficient. Using outdated old machinery and mechanisms will show that the company has not updated their skills and knowledge. #5. A warranty period- A good car AC repair company will always offer a warranty on the services offered by them. This is not only the sign of good customer service, but it also shows the customers that the company is confident about the kind of services being provided by them. Warranty on the car AC components like evaporator, compressor, thermal expansion valve, drier, accumulator, etc. should be checked properly. Ask the company directly about their warranty as well as their terms and conditions and policies. This will allow you to get an idea about the company as well as make the right decision when choosing an AC repair company for your car. So, these were some of the tips you can follow when looking for the right AC repair company for your car so that you can get the best services in the best price range for your needs.